OIL PRICES TUMBLED again today, falling further under the $50 price per barrel. The price of a barrel of the North Sea benchmark dropped by 3% to $48.54, its lowest level since April 2009. US crude oil was also at its lowest level since that time, with the US benchmark, West Texas Intermediate for February delivery, losing $1.06 to $47.30 a barrel, while Brent was down $1.32 to $48.79. Analysts at Goldman Sachs lowered their three-month price forecast for Brent to $42 a barrel from $80. 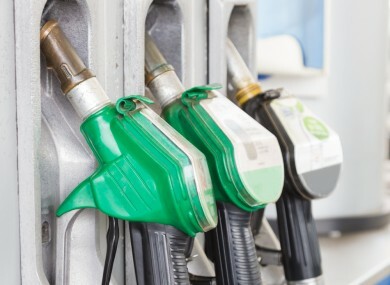 While the markets react to the falling price, it is good news for the consumer, who is seeing a significant decrease in the cost of filling up their tanks at the petrol stations. In Ireland today, the average price for petrol is €129.9c, while Diesel comes in at €121.9c, a far cry from prices a few months ago, approaching the €1.60c mark. You might also feel the benefit in your wallets when you are booking your summer holiday this year, with speculation that ticket prices with some airlines might decrease due to falling fuel prices. German airline Lufthansa said today it expects to see a sharp increase in underlying profits this year as a result of falling fuel prices. According to an investor presentation published on Lufthansa’s website, the airline is pencilling in estimated fuel costs of €5.8 billion in 2015, down from €6.7 billion in 2014 thanks to falling oil prices. The drop will be the “main driver” of a “significant” increase in operating profit in 2015, the presentation said. Aer Lingus is also expected to reap a €50 million-plus windfall, but has no apparent plan to give long-haul passengers any relief on its fuel levies. The global oil price shot up to about $140 a barrel midway through 2008, but crude prices have lost more than half their value since the middle of last year, with weakness in key markets China and the eurozone adding to the supply and demand crisis. Email “Oil prices tumbled AGAIN today – to the lowest level in six years”. Feedback on “Oil prices tumbled AGAIN today – to the lowest level in six years”.